Another option was to conceive a device for front-engine planes that would prevent the rounds from ripping through the propeller. A Frenchman named Roland Garros applied a deflector – propeller cover pads deflecting the fired rounds. 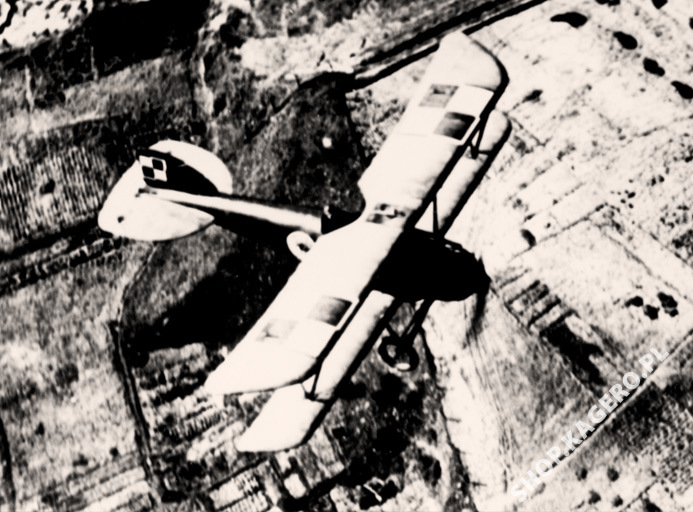 Having examined the wreckage of Roland Garros’ Morane, Anthony Fokker, a Dutchman working in Germany, built a synchronizer – a mechanical instrument preventing firing a round if a propeller blade was in front of a gun muzzle. He fitted the synchronizer in a single-seat monoplane that was based on the French Morane H – and so the formidable Fokker E.I was born. When it reached the frontline it gave the Germans air superiority. The first Fokker victory was won by Max Immelman on August 1, 1915, followed by Oswald Böelcke on August 19. Both pilots served in Feldflieger Abteilung 62. Twenty six Fokkers scattered over various units inflicted heavy losses on the Allies and forced them to commence group flying as a defensive measure. The Allies responded with the Nieuport2 11C1 that hit the frontlines in January 1916. This fast and maneuverable sesquiplane became more effective than the “Fokker Scourge” as it was continuously undergoing improvements. Eventually the Allies won air superiority. 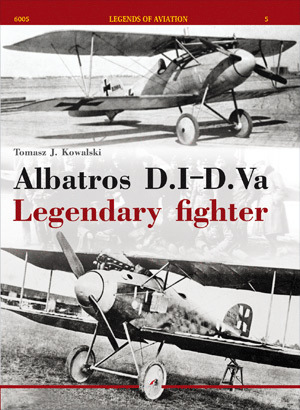 The Fokker and Nieuport laid the foundations for all future fighter designs. A fighter aircraft was to be a small, maneuverable and fast single-seater with a high climb-rate, armed with at least one machine gun firing through the propeller arc. Since biplanes and sesquiplanes offered more maneuverability at that time, such design layouts were preferred when building fighters. There were of course exceptions to the rule, but as the saying goes they just proved the rule. Inspired by Oswald Böelcke, a process of forming dedicated Jagdstaffeln units began (with the first being set up in August 1916) to replace the ad hoc created Kampfeinsitzer Komando (KEK). The primary requirement was to secure proper equipment. The poorly designed Fokker D.I was withdrawn from frontline service rather quickly as the sloppy workmanship used in its manufacturing became apparent. All the aircraft were reassigned to training duties. Although D.Is and D.IIs from Roland works and D.IIs and D.IIIs from Halberstadt turned out to be quite good, they did not improve the situation much. The Albatros plant produced 5 prototypes D.344-348/16. One of them – the 256 – was used for static tests, while the 2759 was test flown by Ernst von Lössi. On June 17, he achieved the following climb rates: 1000 m in 4 min., 2000 m in 8 min. 3000 m in 14 min. When put into serial production the Albatros would climb to 4000 m in 30 minutes. In June 1916 Albatros Werke G.m.b.H. received an order for twelve prototypes (serials D.381-D.392/16) of single-seat fighter biplanes. Under the terms of the contract the aircraft were to be powered by the 118-kW (160-hp) in-line, liquid cooled Mercedes D.III engine. Although it is difficult to retrace the work done by a team headed by engineers Robert Thellen3, Rudolf Schubert and Gnaedig, we know that the Albatros D.I (L.15)4 had been built in a short time (according to R.L. Rimel, in 13 days). After tests at Ideflieg it was approved by the Zentral Abname Kommision (Central Acceptance Commision) as hardware fit for military units. The old mantra “if it looks good, it’ll fly good” certainly applies to the Albatros design. The designers worked hard on aerodynamic qualities of the wooden, semi-monocoque, oval cross-section fuselage that in its front part smoothly transformed into a large cowling covering the propeller hub. The middle and aft sections of the fuselage were flat while its upper and bottom parts were gently rounded. The engine was almost completely embedded in the fuselage, only cylinder heads, the cooling liquid tank and exhaust pipes with a manifold protruded beyond its lines. The fuselage, together with plywood-skinned vertical stabilizer and stabilizing fin constituted a single airframe element. The engine was accessible through removable metal panels. In front of the cockpit, at either side of the fuselage, were Windhoff radiators.